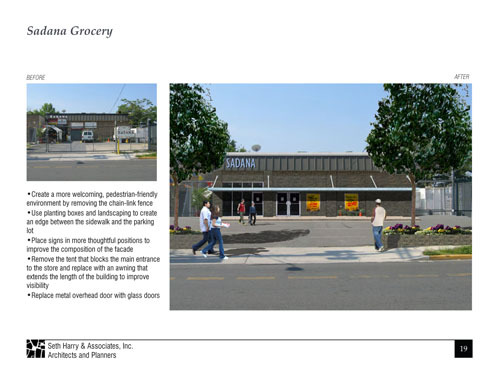 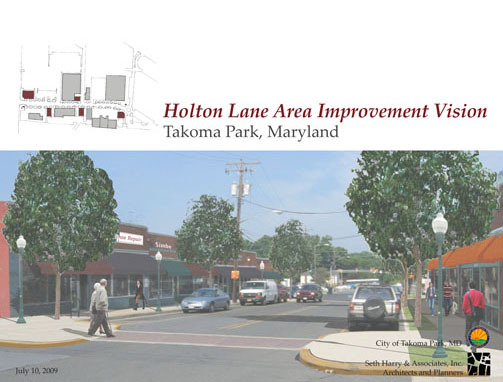 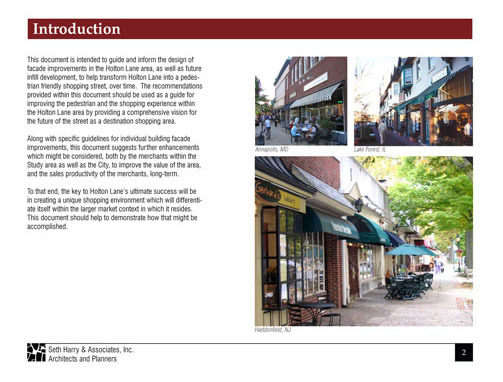 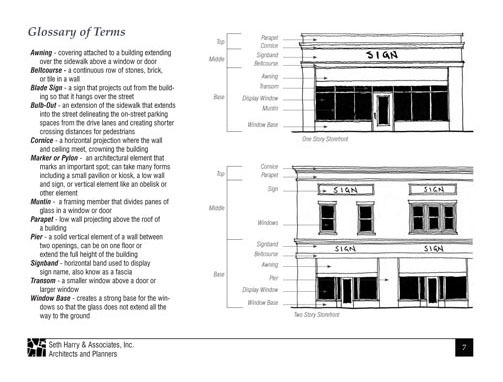 Seth Harry and Associates, Inc. created a set of design guidelines to inform the design of facade improvements in the Holton Lane area, as well as future infill development, and to help transform Holton Lane into a pedestrian friendly shopping street, over time. 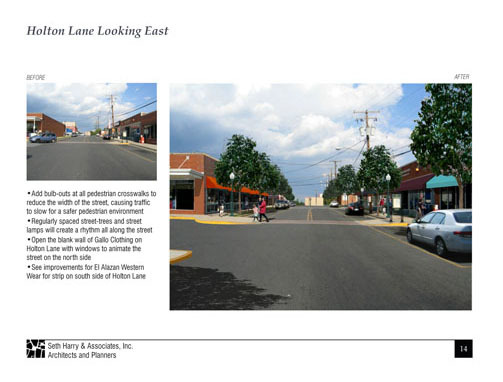 The recommendations provided were to be used as a guide for improving the pedestrian and the shopping experience within the Holton Lane area by providing a comprehensive vision for the future of the street as a destination shopping area. 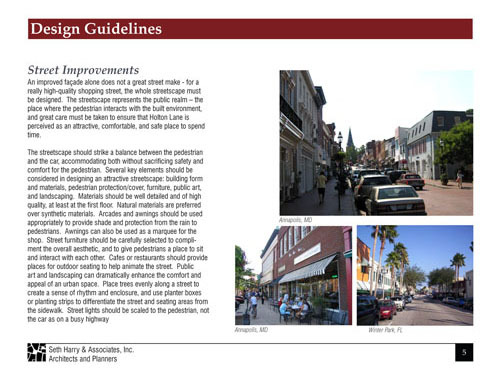 Along with specific guidelines for individual building facade improvements, SHA suggested further enhancements for consideration, both by the merchants within the study area as well as the City, to improve the value of the area, and the sales productivity of the merchants, long-term.